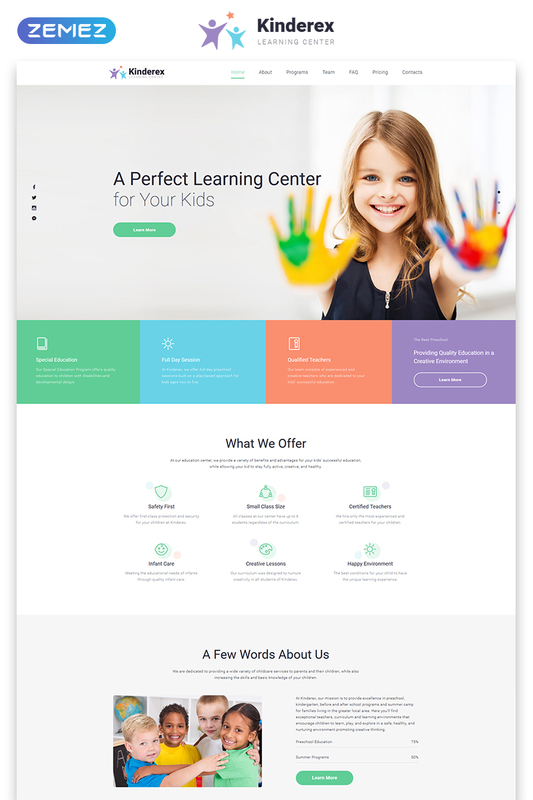 Kinderex is a cross-browser Kids Learning Center Clean Landing Page HTML5 Template, which will be difficult for the visitors to ignore. 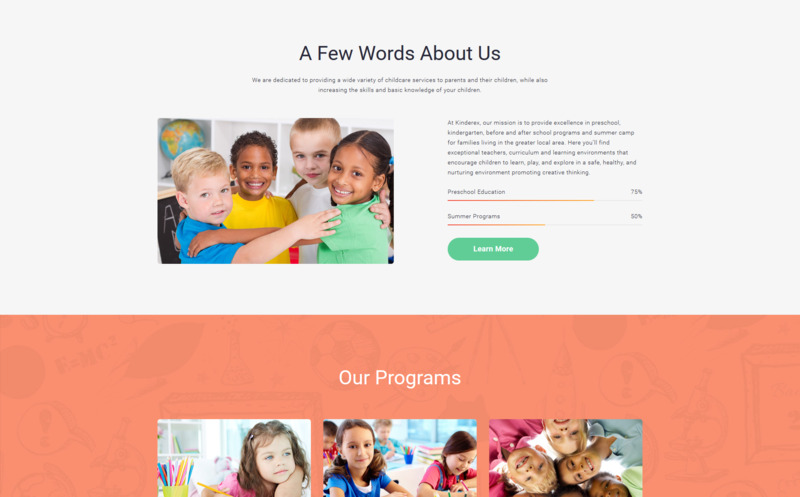 Its goal is to create a well-organized landing page for a learning center's presentation. 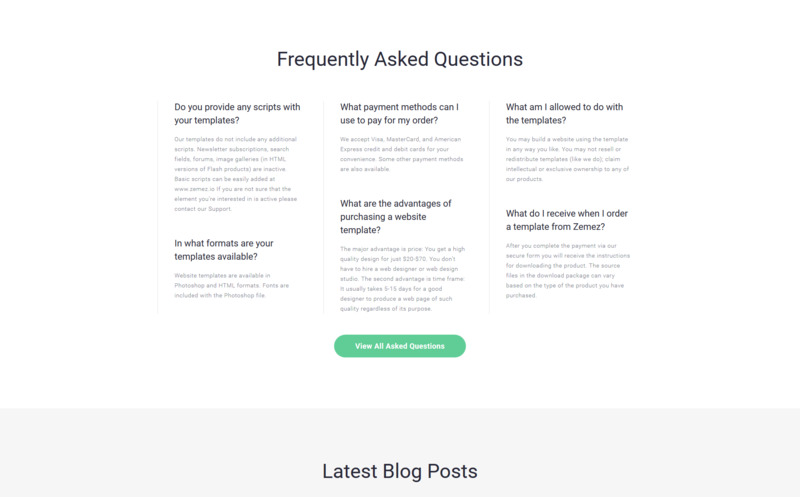 The minimum of settings in this template won't bother you even if you are a novice HTML5 template user. Such a template as Kinderex will be your faithful assistants offering various options. The template offers its users an adaptive interface for any device, including mobile ones. 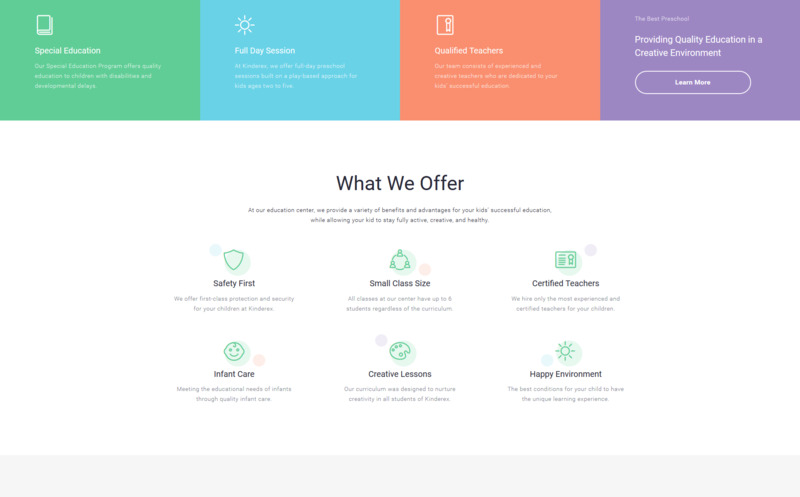 Design of the template is a good example of good organization and classic landing page design using the minimum number of primary colors. 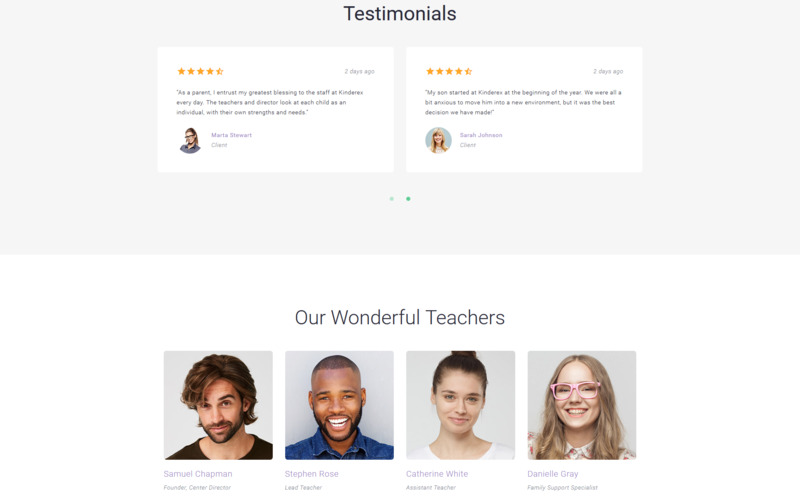 All the emphasis in the design is on colorful graphics and catchy headings, which only underlines the thematic focus of this template.